This is an LScript for transferring animation data from LightWave to After Effects. It is done by exporting the position and rotation of the selected item in LW into a .ma file (ASCII Maya file). At the same time, After Effects is either launched or brought to front and told to open that specific file. This makes it feel like you have a direct connection between the two applications. What do you think, should the script also export scale as well, or is it not needed? Can the position of objects be away from world center with your plugin? Your script looks simple and straightforward. could your script export a null as a position placement for a light in After Effects. Also, I think it would be nice to have the script take scale into account. Could be useful for objects. I have seen, but not used the ATS utilities. I haven’t tried exporting a null yet, but it should work as long as it has more than one keyframe. At the moment it cant export items with only one keyframe. I will fix that and I will add support for scaling too, but right now I am working on a similar script to export straight from AE back to LW. Hi Nathan, open the script in a text editor and check that the path to After Effects is correct. Also take a look next to your LWS file to see if there is a .ma file exported at least. 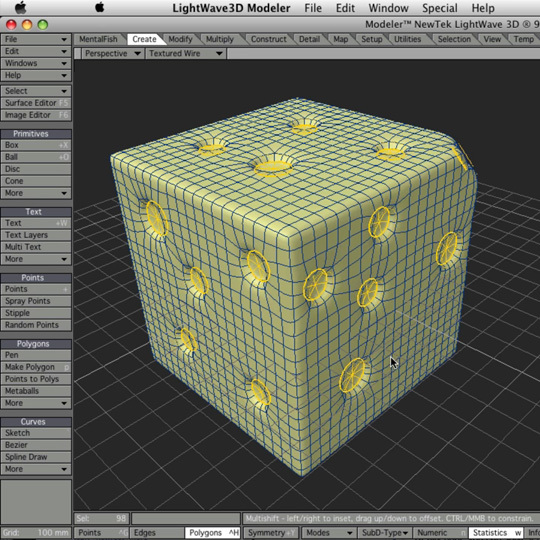 Can the object in Lightwave be off the zero axis and come into AE correctly? Hi Gary, yes it can and it does. Check the coordinates in AE and see that it displays the same value but in pixels. 1.7m in LW == 170px in AE. I just tested on a model that moves around in LW, and its values are transferred correctly into AE. Hi Petter, does the script still assume the scene is 640×480@24fps? For people who encounter view and motion mismatches: be sure to adjust your camera option according to the imported .ma one. Also see if you have to stretch it to make it fit to your fps (this .ma comes in as 24fp right now and thus needs to be adjusted to fit an e.g. 25fps pipeline). Download it again, it has been updated to handle camera resolution, fps (but only 24, 25 and 30 due to limitation in the .ma format), and lens focal length. Seems to work but I would like to export the rotation and position of an object that is parented to a different object. Position and Rotation comes from a Null, but I would like the position an rotation of the parented object. Is that a possibillity? Try it and see what happens 🙂 It should work, as it “bakes” the global position and rotation on export. Great script, although it looks like the rotation transforms coming from NULL objects in lightwave are somehow backwards when they get into AE. I have a NULL that is rotating the wrong way in AE form what LW makes it look like. Should the NULL have world coordinates enabled? The script always reads out world position and world rotation from an animated item, so that should not have any effect. I do some axis reversal ( * -1 on rotation and * -100 on position ) to get the desired results in AE, and that is done to nulls as well as cameras, models or any other item. Please feel free to poke at it in the script, lines 92-97, I might have gotten something wrong there. Can we get some stuff for fusion? Hmmmm, it could have been my scene. I will do some more testing. Do exported items still need 2 keyframes? This is a bit confusing, The 3D axis system between LW and AE is exactly the same except for the Y axis which is reversed. Interesting. I am going to see what happens if nothing is axis reversed just for giggles. Actually, I removed all the axis removal and just negative multiplied the Y POS by -100; I am going to see what this does. Do you have a direct email, I would like to send you this LW scene and AE project and see what you think. @kat , how does FBX from LW to Fusion work out? Thanx for the killer tool. I’ll give it a go tomorrow at work! Did A quick test and it seems to work great…big thanx! Wow. It certainly works. Lots of possibilities I never thought of. Oh! And thanks loads. How do I register? No need to register, just download it (link under video). Or were you thinking of something else? BUT when i tried to rotate the camera to the bank axe everything went very wrong…DO you have any ideas?? For the life of me, I cannot seem to get this right. I am (hopefully) following your video correctly, but it seems as though I am doing something wrong. Is it too much to ask for you to post an example LW scene file and AE file to look at? Great stuff – looking forward to seeing how far you can push this script. You’ve achieved what the LW development team have failed to do in 20 years of coding! well done. Hehe, thanks, at least NewTek has enabled the possibility of making scripts such as this. I’d rather have them work on the foundation so that it is as painless as possible to write such scripts. Having high hopes for scripting in CORE. I have one minor feature request that is outside of my scripting reach, and that is script access to FBX and Collada export. I think scale should definitely be taken into account, maybe even Alpha (though it would be easier to do alpha in AE if you were working with this setup from the start). Whoever doesn’t need those properties can simply not link them. It would also be nice to have a script in after effects that links allt he required properties. Just used it and it works… fantastic, thanks! Although it looks as if I have to set FOV/zoom/backplate size manually? It came in with totally different values than what my LW camera is set to. Or is that dependent on aspect/resolution in LW? I am definately looking forward to your plugin from AE to Lightwave. This would mean I could do the cameratracking in AE and create all the good stuff in LW 😉 How is that plugin coming? In the video, what is the anchorpoint,trans,scale of the logo.png in AE at the start? How is it matched to lightwave scene logo? Would it be possible to post the sample AE and lw file to follow the tutorial? Thanks. I don’t think so, I believe many of the features I am using in LScript is requiring a later version of LightWave, but I’ll take a look. Hey Peter, thanks for a great script! I’ve tried FBX, RLA, RPF, TransMotion, and everything else, and your script is by far the best for translating movement into AE. The only problem I’m having is that when I use a camera that has animation in the B rotation channel (banking), the movement doesn’t come into After Effects properly. Any ideas for a fix for this? Is it impossible to use CS5? can’t figure out how to install and get button in LW 9.6 64 bit. i opened the lsScript in a text editor to see that it’s pointing to AE cs4. i can run the lsscript and also see a folder next to my LW scene with your new .ma file. i just don’t know how to get it into ae or get the script to launch ae. You install the LScript just like a regular plugin and assign it to a menu position by going to Edit -> Edit Menu Layout or pressing Alt + F10. Still trying to figure this out. It seems to line up reasonably well but there are points where it seems to slip. I noticed that the motion curves in LW are somewhat different than how they come into AE. For instance i have a totally linear change in camera rotation in LW that comes into AE as a noticeable curve. Any clue as to why this might be? Thanks so much for creating a great tool. Not sure why this isnt built into LW. I loose business to C4D regularly because of this. Have you made sure the camera settings are the same? Would it be possible to update the script so users don’t have to change the expression on the Point Of Interest to “position” or is this necessary? Could perhaps make some automatisation of it in AfterEffects, but for now it has to be done manually. great script. super easy to use, but i’ve seen several others have issues with the banking of the camera. is there a workaround for this issue? thanks. Could be that the banking value needs to be reversed, you can open the script in the text editor and play around with the values (multiplying with -1 and what not to reverse it). Thanks for the suggestion. I tried it, but it doesn’t seem to be a reversal issue. When the LW-camera has Bank values, it seems cause the AE-camera to drift away from the original position (when compared to the render out of lightwave). Removing the Lw Bank values, fixes the drift. Of course, the AE-Bank does not match anymore, but the rest of the values match up perfectly. I’ll just avoid Banking the camera. Thanks. AWESOME script. Greetings, and thank you. right now I get the Error File C:\referencing the script line 12 Script type generic differs from it’s architecture I am running 9.61 bld 1555 and ignorant of Lscripting. Any pointers would be most appreciated. Sorry for the late reply, but I have no idea what that error means. Perhaps you can post about it in the NewTek forums? You install it the same way any other LScript is installed. If it does not work, open up the script in notepad and check if it points to the right version of AfterEffects. Hey Peter! what a great script this looks like, I’ve followed your video to the T, and for some reason I cannot get the same result, my AE scene and my LW scene, seems off, I’m not that experiences in LW, but I rendered a camera going past a cube, and rotates a bit, when I render the scene from LW out, and do all the import and setup in AE, seems like my AE scene is either zoomed out too much, and if I try to match the zoom on the 3D camera, the movement is off. If not, it sounds like a field of view mismatch if the movement is just slightly off. I have also heard people having some issues when there is a rotation around the Banking. I’m wondering why the plugin is greyed out in the edit menu layout? I added the plugin under utilities/plugins/add plugin… Please let me know how to fix this, many thanks! It means it has already been added to the menu somewhere, but that does not mean you can’t add it again somewhere else. Just click on the grayed out item in the left side list, select where you want it in the menu in the right hand list and click “Add”. Tried it out and it works great! Did some adjusting of the values to get the desired results in after effects for me but otherwise all good. Also, if it created a null in ae instead (with scale :P) then I could alt-drag and replace the nulls with other elements (instead of copying and pasting keyframes). 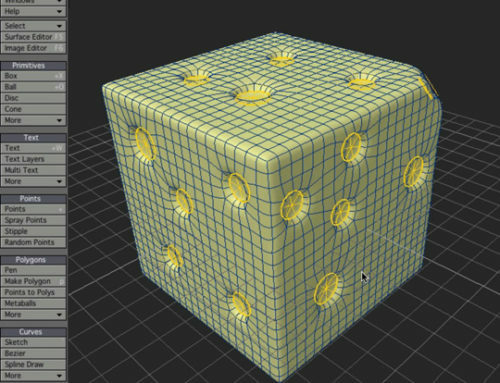 OK, so I have no scripting knowledge, therefore have no clue what I am doing, but I managed to edit the output .ma file so it substituted the camera for a null (maya locator), and it includes the scaling info from LW! Awesome! All I do is replace that with my clip and it works! I had to make it create another camera also as it seems without a camera Ae can’t create a comp. Can you tell me how you swapped the camera with a locator in the text file, and I’ll add it as an alternative version of the LScript. I am at a loss in terms of how to add the locator in the .ma format and I can’t find any useful sample files by googlin’.